The support 3DS owners have enjoyed from Level-5 will transition over to Switch. I’ve been calling it like I see it for the past year. The 3DS has reached the end of its life, kept alive via life support as Nintendo decides what direction it should go. Will they abandon the DS family of hardware in favor of the Nintendo Switch’s all in one appeal? Or will they take a gamble and maintain a dedicated handheld, a “4DS?” I’ve always held that the former is the most likely scenario, and that it will be the developers that were the lifeblood of the 3DS who will seal the systems fate. 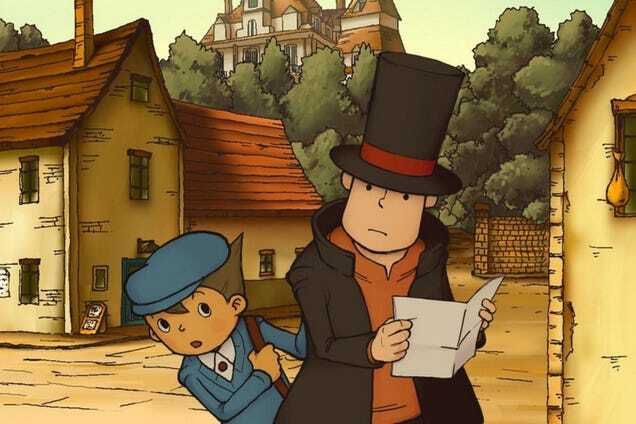 In the past, Level-5 had revealed that a Professor Layton game was in the works for the Nintendo Switch, though it wasn’t much more than a prototype, seeing if it could work. This new announcement from Level-5, that the vast majority of its 3DS teams are making the switch to the Nintendo Switch, all but confirms that they see potential in the system as many other devs have, and have decided to go all in. This comes months after Capcom announced that the popular Ace Attorney series next main installment would be on the Nintendo Switch, and that announcement came months after the big reveal that Pokemon would be leaving the 3DS behind after the release of UltraSun & UltraMoon, jumping to the Switch. Level-5 is just the latest high profile 3DS developer to make this announcement. While Nintendo themselves may call the Switch a home console that can be taken on the go, it’s clear that developers see it the other way around, and a survey showed that Nintendo Switch users shared the same sentiment as developers, using it primarily in handheld mode. Now that the Switch is a success, and 3DS developers along with indie developers are flocking to the system, does Nintendo even still have a reason to make another DS? The developers have clearly shown that the loss of the second screen does not outweigh the benefits that the Switch offers, and will not prevent popular franchises from getting new installments on the Switch.